0 points – less than 90% of the samples in a family are detected, the detection algorithm for this family was developed incorrectly or is non-existent. 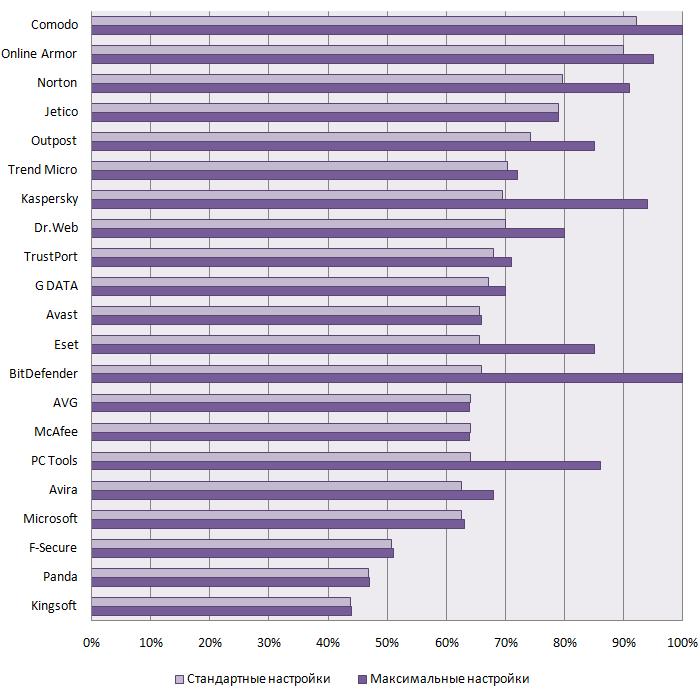 The overall score was calculated for each antivirus program based on the points received for each of the 11 polymorphic virus families, as well as a percentage of the total (33 points). The best antivirus programs received one of the following awards based on their performance. The Platinum Anti-Polymorphic Protection Award is awarded to antivirus programs scoring 32 points or more (at least 95% of the total points available). The Gold Anti-Polymorphic Protection Award is awarded to antivirus programs scoring 26-31 points (80% of the total points available). The Silver Anti-Polymorphic Protection Award is awarded to antivirus programs scoring 20-25 points (60% of the total points available). The Bronze Anti-Polymorphic Protection Award is awarded to antivirus programs scoring 13-19 points (40% of the total points available). If an antivirus product scored less than 13 points, i.e., less than 40% of the total points, it failed the test.